Welcome to GBFD, we I ask you to think about the foliage in your garden rather than the flowers; when I walked out into the garden late yesterday evening to take some images of foliage that was making an impact in the garden I thought that it would be impossible to take any wide angle shots because May is when everything flowers in my garden. However I was wrong! The very hot beginning to May has meant that many plants have flowered and have now decided a rest is in order and have finished. Last year all the Cistus flowered for what seemed like weeks and weeks, this year most have already finished, so I must conclude that this drought loving plant actually likes some cooler weather and rain to flower really well! 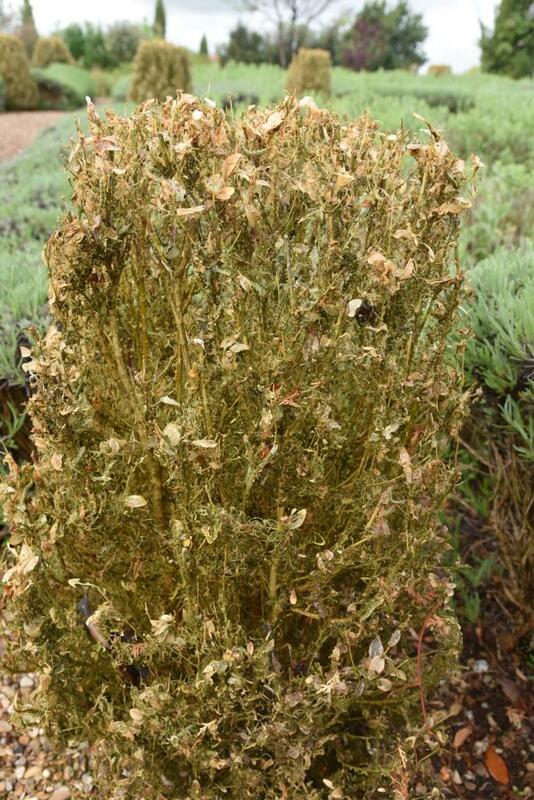 This does explain why, when I visit a Mediterranean style or Dry garden in the UK, it usually looks more lush and flower-filled than is possible in the actual hot, dry climate that is Lazio. 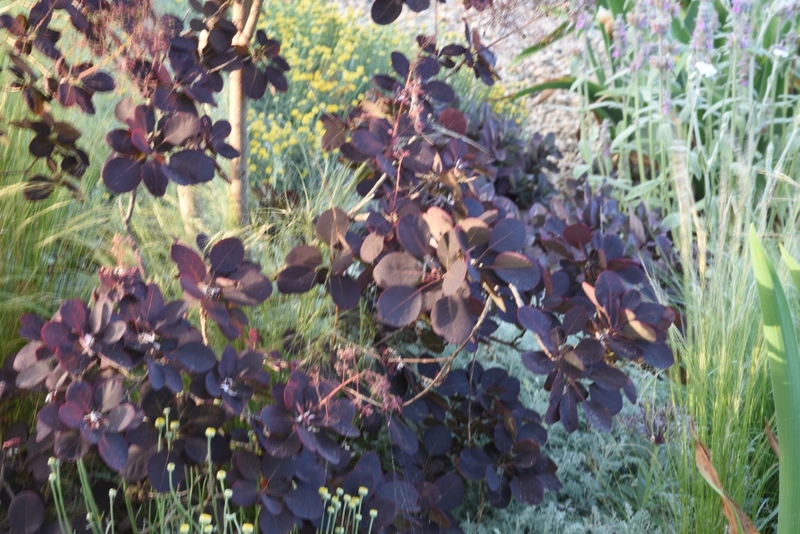 So foliage really is the foundation of my garden, there are plants flowering, lots of them, but from many angles it is the foliage that is the backbone of the design. 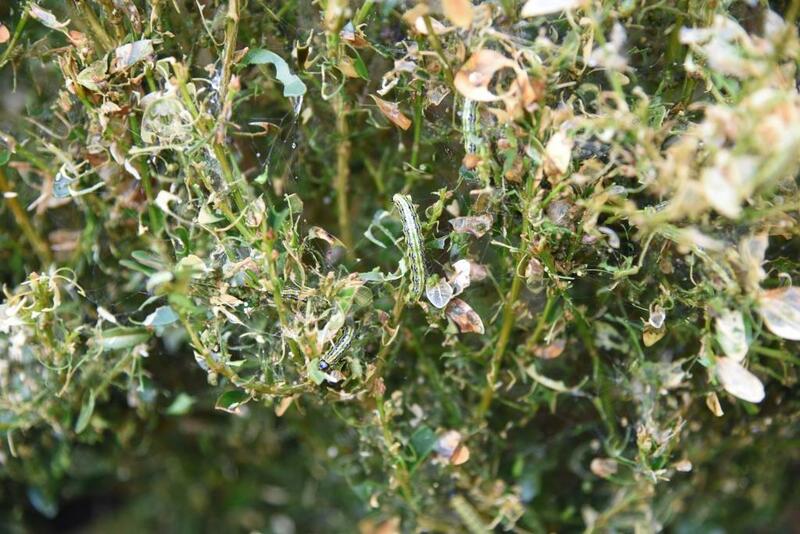 Last month I wrote about my dilemma; what should I do with my poor box (Buxus sempervirens) that was being decimated by the Box moth caterpillars. Thank you all for your sympathy, suggestions and possible solutions to the problem. 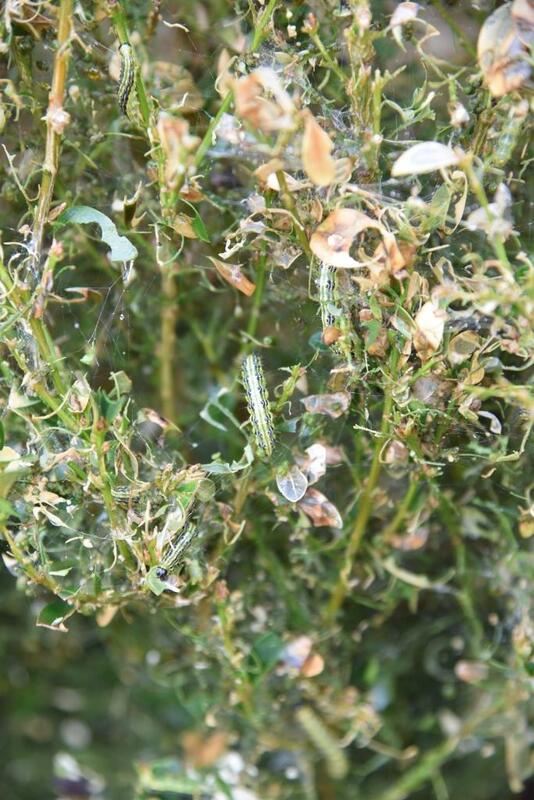 Just after I wrote last month’s GBFD post I was in the UK for a few days, when I returned home the box were completely defoliated and the caterpillars were beginning to look for other food sources. I garden organically and the treatment I was offered by my local supplier was, in fact, a product that has been banned in Europe because it damages bees – the very last thing I wanted to do. So my decision was to remove and burn all the box in the garden (I must change my header image as it no longer shows the essence of My Hesperides Garden. If I had been more vigilant earlier and possible found a treatment I would have been prepared to use, maybe the box could have remained; but I couldn’t bear to look at the skeletons that the box had become. There are many important historic gardens in my area and these depend on box, so part of my reasoning was that if everyone who wasn’t as careful to control this pest as they have to be removed their box perhaps the threat could be removed from gardens as historically important and as beautiful as Villa Lane, Palazzo Farnese at Caprarola or Castelo Ruspoli. Let me show you the box so you can be more vigilant. So my thoughts are now 1. 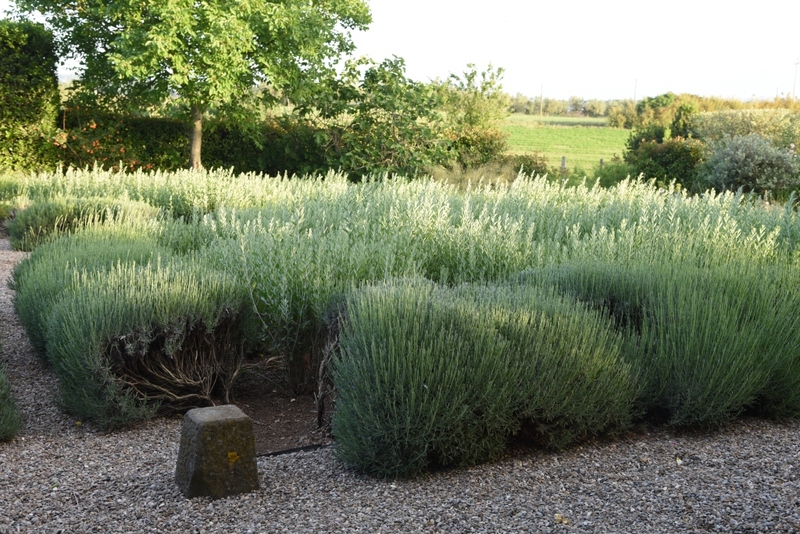 Should I replace the box with something else – this is obviously the simplest choice, but the box had become quite mature and it would be a while before anything else had the same ‘presence’ in the garden; or 2. should I make the decision to change the whole of the formal garden; the lavender is already reaching the end of its life as a tightly clipped form, if I were to replace that it would have to be with a much slower growing variety that isn’t so easy to source here. The Perovskia has seeded and suckered and I had already begun to thin it with the intention of replacing some with Teucrium that would remain a more structural element during winter. I think you will have perceived that my intention is to remove everything and create a NEW, different garden where the formal garden was. What with I haven’t finally decided but I’ll share my thought processes in another post. For now I should look at some foliage I am enjoying. 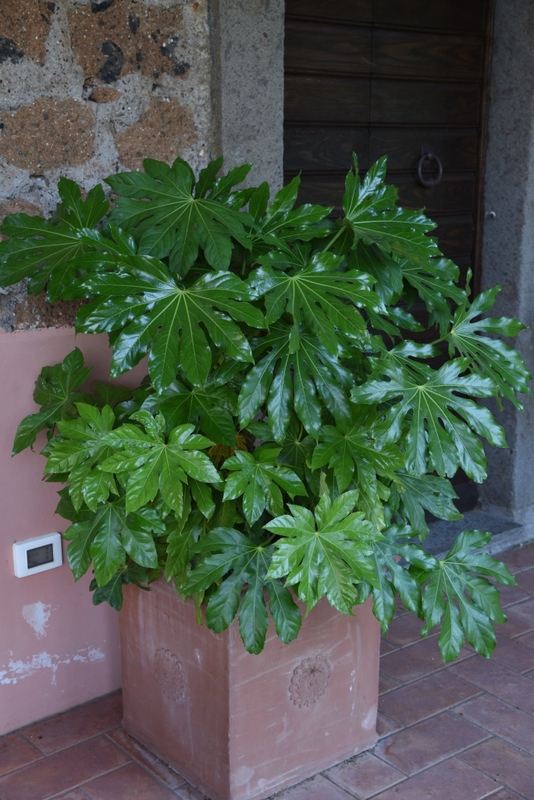 I have two Fatsia japonica in square containers on the terrace. I really love the shiny leaves of the Fatsia and I’m thinking of adding more similar plants to the terrace which is now completely shaded by the wisteria from Mid-May through to October. Probably my favourite foliage plant this month is actually the humble Stipa tenuissima, which is so easy going, self-seeding itself around the garden that I often overlook why I planted it in the first place, I love the way it moves in the breeze or strong wind, bring the garden to life. This entry was posted in Foliage, Garden Blogggers Foliage Day and tagged Box (Buxus) caterpillar, Box (Buxus) tree caterpillar, Cydalima perspectalis, Fatsia japonica, foliage, Garden bloggers foliage day, Stipa tenuissima. Bookmark the permalink. ← The Slope on Thursday, it just gets better and better! OMG! I love your garden so much!!! Sorry to hear about the pesky pests! Sometimes gardening seems like a constant battle, but you are definitely winning! Oh my goodness – that really is decimated. I am sorry that happened, but now a new opportunity has arisen for you to make some changes. It’s an exciting new challenge that I know you will enjoy, despite the work! I look forward to hearing your ideas soon. I am also slowly removing and replacing some of my larger lavender plants. It seems 10 years is about the maximum I could get out of them. How old are your lavenders Christina? I do like those shiny Fatsia leaves – very lovely! 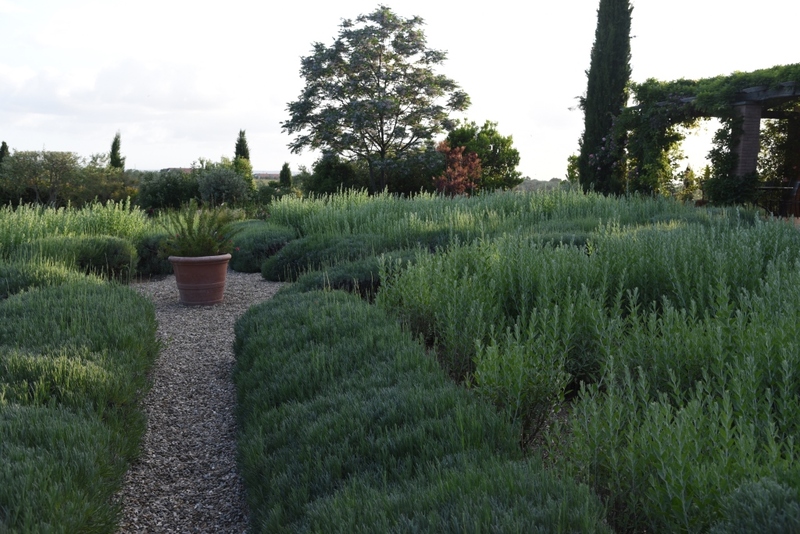 The lavender were planted in 2008, so are coming to the natural end of their life. I want to change the whole space rather than just replace the box as otherwise it would seem such a disaster rather than this way it does seem like an opportunity. I appreciate your confidence, at the moment I have a few ideas that I’m working on. I’m actually using the ‘paper’ app on to rough out ideas, then I’ll put it onto paper to check for sure the proportions are correct. That’s a tragedy. It’s obvious that a lot of thought and design skills went into the original layout which makes the shocking devastation all the more painful. I clipped the parterres here a week or two ago and there’s possibly more blight in a new area so I too am having to think about changes in the future. I shall embrace the challenge as I am sure you will especially with your eye for great plant combinations. I was feeling slightly smug that the box blight wasn’t having much impact here, probably because of the hot dry air, but I feel that the caterpillar will ultimately cause even more damage than the blight, it is already in Southern England and the caterpillars are capable of over-wintering in their web-like protection. We had a cold winter this year with many nights of zero temperatures and it didn’t seem to effect them at all. Yes, definitely a planting opportunity! How sad that your box came to such an untimely end, it seems there is always something to attack our plants. You will think of something wonderful, I’m sure, we will all wait to see what your new design looks like. As the garden is so full now, I am almost happy to have the opportunity to create something new. Thanks for joining in Pauline, you haven’t posted lately and I was worried you were unwell, I do hope that wasn’t the case – just busy out in the garden maybe? Yes, Dianthus grow very well, I have several, I have included lots in my vases recently. I love the ones that were called pinks; simple flowers with an amazing perfume but they usually only flower once but as you say their foliage is good attractive ground-cover. I think I have to see the box loss as an opportunity otherwise I would be devastated. I won’t ‘replace’ the box, Amelia; nothing would give the same satisfaction but a new plan should help ease the pain of losing them. How exciting to have a new project underway! Will you wait until the lavender has flowered? Here, fall is a better time for planting. Here the ONLY time for planting is autumn; so I have all summer to plan and prepare. I will leave the lavender to flower and the Perovskia and probably remove them both in mid to late August to give time to remove all the weeds before replanting. The damage caused by this caterpillar in many gardens, not just mine is devastating, but it is better to move on and enjoy the prospect of creating something different rather than dwelling on it. Thanks for joining in again this month Susie. Sometimes it is difficult to take out something established and we need the push of damage from a pest or disease, John. I’ve added the link to your post in your comment as you didn’t do it and everyone will want to see your interesting post. thanks for joining in GBFD this month. Oh, so sorry about the boxwood, but you did the responsible thing by ridding yourself of them and educating others about what the caterpillars look like. I look forward to seeing what you decide to do. It’s hard to HAVE to change something, but also, the challenge will probably prove very interesting. thanks for joining GBFD this month Tina. Nassella and Stipa seem to be synonyms rather than that there has been a change in name, but I should use both names to save any confusion. Pingback: rusty duck - Breakthrough… Again! Oh Christina, it’s so sad that you’ve had to remove the box but isn’t it always the way.. when you start to think about changing the garden in some small respect a much bigger plan often emerges. It will be interesting to see how it develops. The cistus that I bought last year, having admired yours, is only just starting to bloom. But on the strength of it surviving the winter I’ve just acquired another. It’s perhaps a tenuous link this month, less is more.. but the biggest change to the garden foliage that has happened in a while.. ! Not tenuous at all Jessica – you are quite right that trees especially mature trees do provide a huge amount of the foliage interest in our gardens. As I said the reason for not just replacing the box with something else is that I would always think whatever it was wasn’t as good as the box, even if it were. There is little else I can say about the box that hasn’t been said above Christina but I do think you are doing the right thing and making it an opportunity to create another beautiful space. I look forward to reading about what you decide to do. The upper drive border is looking great, especially at that time of evening – it gives it a nice atmosphere, with the sun just kissing the foliage at the far end. Very nice. I’m very pleased with the development of the upper border which didn’t have a very cohesive idea behind it when I started it; but has now evolved into a border of forms, rounded and evergreen, mostly created by Cistus but supported by Elaeagnus (I wished I’d planted a lot more of this shrub, it took a while to establish but is now beautiful with the added bonus of perfume in winter. Thank you for joining GBFD this month, I’ll add the link to your comment for you. Thanks for joining when I know you are busy but I’m glad you did; your foliage is looking superb this month. Oh how devastating. Good luck with ringing the changes. I am sure that you will ultimately have fun. I’m sorry that the box was unsalvageable. I think you’re right to give it up while that pest is running rampant. I look forward to seeing your new plans for that section of your garden. Hi Kris, I just tried leaving a comment on your post about the grapes; the screen just kept returning back to the “publish” button but wouldn’t! Povero bosso! deve essere stato tremendo trovarlo così… Mentre la Fatsia è veramente splendida quest’anno!!! Sono molto curiosa di vedere cosa farai al posto del tuo giardino formale. A me piaceva molto, anche la vista che se ne aveva dalla cucina, ma sono sicura che farai una nuova bella cosa! Spero che riuscirò creare qualcosa di bello. Oh Christina, what a devastating sight the box is, you did the right thing and burnt the plants and I am very sure you will make a wonderful plan to replace or redesign that area. I completely removed my lavender hedge this year and for the last few years have been filling gaps left by past it plants with Nepeta. Nepeta is an interesting choice as a replacement for lavender, is there any particular reason why you chose it? The colour and form of the Nepeta sat in easily with the missing bits of our lavender hedge. 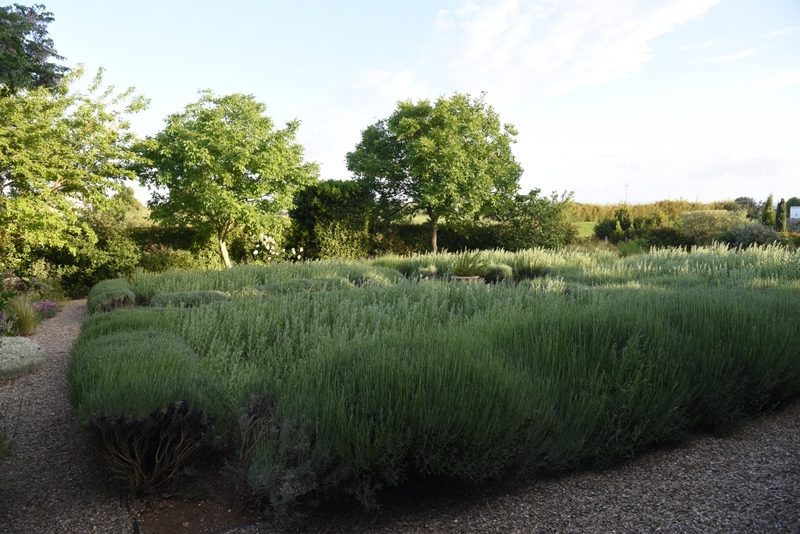 I did not want to replace odd lavender plants but now I have removed the whole thing I may keep it as just Nepeta, which thrives on our sandy free draining soil and bees love it. The only thing there is no shape in the winter months, although it also tolerates being in an exposed spot, which the lavender did not. It is sad to see the devastation of the box plants that gave so much structure to your garden, but I do really admire the fact that you are thinking of the historic local gardens in making the decision to remove them. Was that formal area one of the earliest to be created? I know that in my gardens, I often go back and completely re-make the areas I first started once the remaining parts have settled in and it is always an exciting time, even if it does mean the loss of some plants. 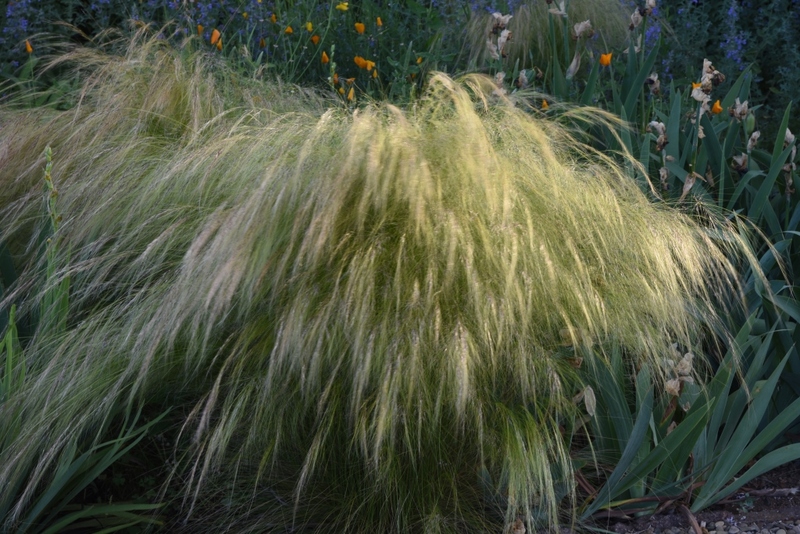 However, I love the stipa – it really is wonderfully visceral – especially with haze of the smoke bush in flower! Yes, the Formal garden was the second part of the garden I planted; the first was the Left Hand border (boring name) which I planted with various things to experiment and actually intended changing that this autumn but it will probably have to wait unless I decide to include part of that in the new layout – now that could be an interesting idea! Thanks for joining GBFD, your contribution is never humble. Oh, Christina, I will miss your lavender hedges; I have always admired them and dreamed of their fragrance! Nevertheless, I understand your decision and really look forward to your new formal garden. I know it will be wonderful. I also love Fatsia japonica. I have one called ‘Spider web’ that has an unusual variegation that looks like spider webs, especially on the younger leaves. Foliage can be so fascinating and, as your garden demonstrates, can make a garden wonderful even when the flowers fade. Don’t worry Debbie, I will still have lots of Lavender in the garden, and I may keep the part that edges the path to the Spring Walk/Back Border. I intend having different types of lavender to give a longer period of flower, also they are easy to maintain as balls rather than a hedge. 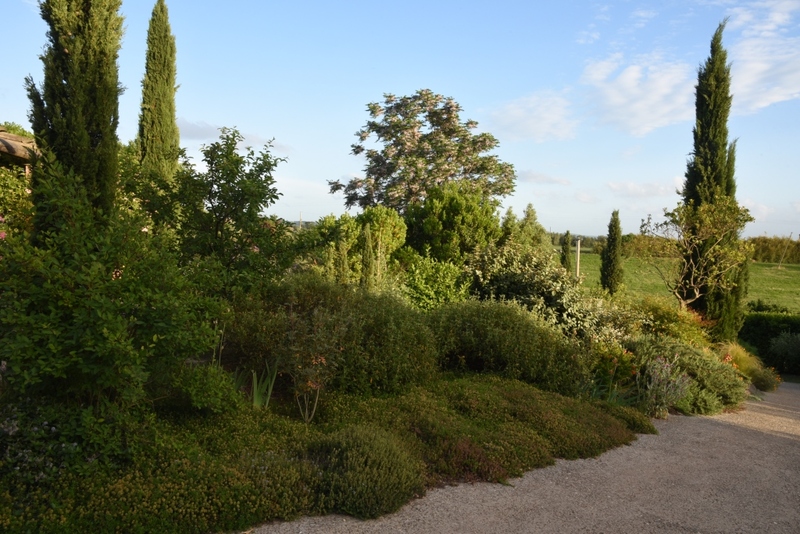 I will be sorry to lose the formal garden as it is but feel energised to change the atmosphere in the garden. What a sad picture for the boxwood damage. I would have never imagined it taking over so quickly when just a few weeks ago you noticed your first caterpillar and only just started to consider your options. I think you made the right decision and I wonder if I could have made the same choice. I don’t know if it’s the angle, but the loss of your box accents isn’t as noticeable as I thought it would be… but then it’s not winter anymore and they did provide such nice structure wen everything else was down. Love the fatsia. Such a simple planting, yet so healthy looking and elegant in that container. I’m finally joining in again! Here’s my good and bad and ugly for the month, as usual thanks for hosting! Strangely the Fatsia is considered an indoor plant here yet in the UK, it’s grown outside almost everywhere. Perception is everything. Thanks for joining in this month, Frank, looking forward to seeing you foliage. I’m so sorry about the boxwood! Your garden was so lovely with it, but I know you will create another lovely design going forward… Best of luck as you look at the possibilities! I love the look of your Stipa tenuissima, which might do well here and would surely add a pleasant grassy feel – not something we have much of normally. Thanks for joining in this month Amy and for your very supportive comments re the new design. Oh your photos really illustrate the havoc that those creatures wreak 😦 I hope that the the boxes in the gardens you mention are not affected. Replacing your boxes will be a big adventure Christina and hard work but I’m sure that you will come up with something as equally attractive. I want to reach out to stroke that stipa. I found it difficult to actually take the photographs of the box caterpillar; if I hadn’t thought I would show it here on the blog, I probably wouldn’t have taken them. But I’m glad I did as a reminder of what can happen if something gets out of control. The box was a big element of my formal garden, but I am ready to move on and create something new, there were 20 box plants in the formal garden plus some spheres elsewhere so the box caterpillar has done a lot of financial damage too! An opportunity to create a different garden space within the garden; more soon about some of the ideas I’m mulling over. I love when challenges are taken as opportunities! Your lavender hedges are so lovely. That is something not possible in this garden, though I’ve set out many lavender plants so far this spring. I admire their Mediterranean perfection in your photos. If it is time for a change, then your evolution of ideas will take you to an even more pleasing garden. I’m looking forward to seeing how the process unfolds. First I’ll say I love seeing your foliage as much is so different than mine…Second I cannot believe the sight of the box…how devastating…I look forward to your thoughts on changes to your beautiful formal garden….that is what we do well as gardeners…we adapt and change our gardens as they outgrow themselves or die.